Your Unit is Eligible for a Senior Discount: Air conditioners have a lifespan of 15 to 20 years. If your air conditioner is over the age of 15 then you should have upgrades on your mind—it doesn’t matter if you think everything is fine with your system. Air conditioners do have a definitive shelf life. Don’t entertain dreams of keeping an AC unit for decades to come because it will only cause you headaches and make you spend more money than necessary. Instead, upgrade when the time is right. 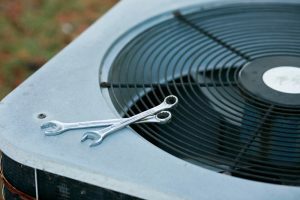 You’re Repairing All the Time: If you have to repair your air conditioning system more than once every few summers then you need to upgrade your air conditioner. If you’re repairing this often it means that you’re spending way more money on the system than it’s worth. Inefficiency means that your air conditioner is on a downhill slope. It might seem like keeping the system and repairing it indefinitely is more cost effective, but we can assure you that it’s not. Your Bills are Sky High: Are you paying air conditioning bills putting a strain on your pockets? It’s more than likely that this is a sign of air conditioner inefficiency. If you’re intimidated by the thought of upgrading your system on your own then make sure you contact our team. All our technicians are skilled, so we’ll walk you through the process step-by-step. If you’re ready to stop struggling with your old air conditioner, we’ll walk you through the process of upgrading. Our technicians know how to assess your home to find you the best system available and we only work with trustworthy brands like Carrier, Goodman, Trane, and Mitsubishi. We really want to make sure that the service you receive from our team is perfect for your needs, so we offer a wide variety of air conditioning systems including central AC, ductless mini splits, heat pumps, and geothermal heating and cooling systems. We’re the team that’s going to match you with what you need. The weather is starting to warm up, make sure that your air conditioner is ready for service too. Contact our team at Sullivan Service Co today to schedule an appointment for service.